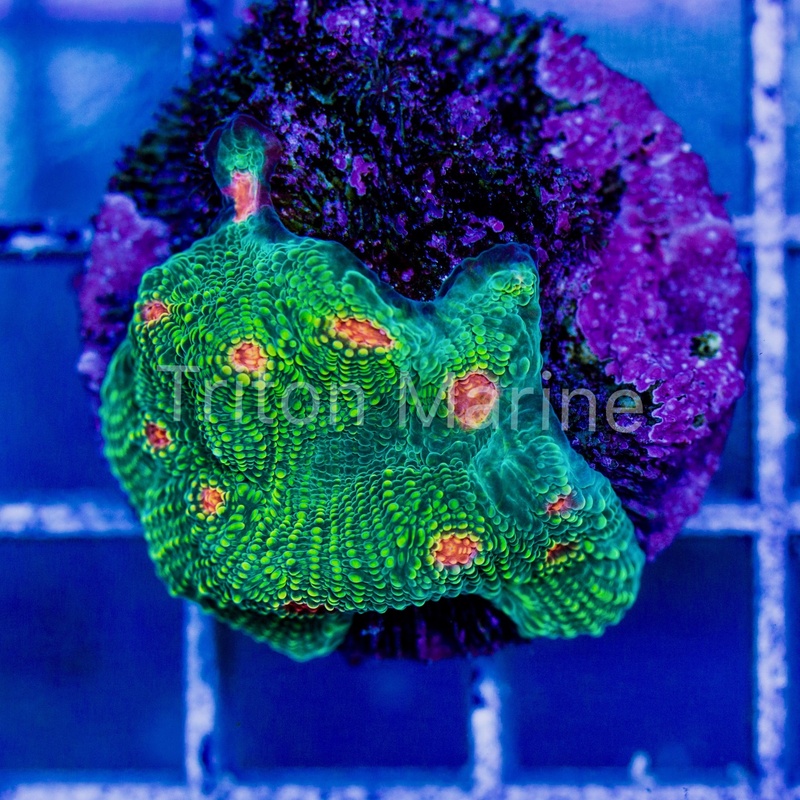 Bubble Gum Monster Chalice Frag ~1/2"
Home / Bubble Gum Monster Chalice Frag ~1/2"
Chalices prefer low to medium lighting and high flow. You'll want small amounts of nitrate and phosphate, they don't need pristine water. They have fairly long sweeper tentacles that come out at night and during feeding, so give them a few inches of space as a buffer zone so they don't sting your other coral.